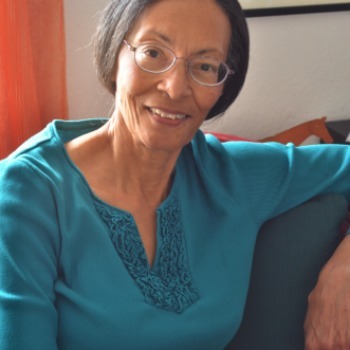 Kae Cheatham has published more than a dozen books, fiction and nonfiction, and many poems (in Crosscurrents, ART/LIFE, and other literary journals). Her articles and photography appeared regularly in a national rodeo magazine, and also in American Cowboy and other sports magazines. Her juvenile’s biography, Dennis Banks: Native American Activist, was Finalist for a 1998 Spur Award, and her very first book (1978), the Montana story Spotted Flower and the Ponokomita (second edition in 2000 and now in a second printing), continues to be popular with librarians and young readers. The contemporary young-adult book The Best Way Out (1982), was voted one of the top 50 social studies books for 1982 by the National Council for the Social Studies—Children's Book Council Joint Committee. Crocodiles, a middle school nonfiction book for schools and libraries, was released in 2001 from Lucent Books. Kae was the pre-production rewrite editor for First Heroes For Freedom (OOP) by Silver Moon Press, and wrote and produced the 1998 32-page program for Lone Star Rodeo company. Her freelance editing and book production for print and eBooks has generated more than two dozen recent titles for various indie authors. At the base of Taggart Peak is a mysterious canyon. The beginning of everything, legends say. Eddie CloudRunner lives near this canyon and has enjoyed a relatively normal life, until the dark specter of a dead relative begins dogging his every step. Add the dismal reality of serious environmental changes in the community where he ranches, and Eddie is compelled to venture into spiritual depths he has avoided for decades. His discomfort increases when local businessman, Pete Waldham, insists Eddie must save the Waldham family from an Indian curse that he believes was brought on by illegal hunting in the legendary canyon. Then Beth Hardemann, Sean Waldham and Martin Bradley (three relatives of the purported defilers) arrive and spark disasters and revelations. Eddie finally admits his long-denied beliefs. While he delves into the mysticism, the capricious Rocky Mountain environment confounds the situation with harsh and unseasonable weather. The 1836 Creek Indian war changes the lives of two young men when an Alabama plantation is destroyed. Devastated by the loss of family and friends, the slave, Jason heads West with his master, Tolin Cobb. During the trek, Jason contemplates his atypical life as Tolin’s manservant. He has grown up knowing well the restraints demanded of a black man, yet always dreams of Freedom. It is a mysterious concept to Jason, and as he moves toward it, he continually tries to define it. In 1870, Elizabeth Fortune is more spunky than most young women, but those attributes are often a cover for the despair she feels at being without family. Her white mother died when she was five, and her black-Indian father is in the Southwest with the Ninth Cavalry. 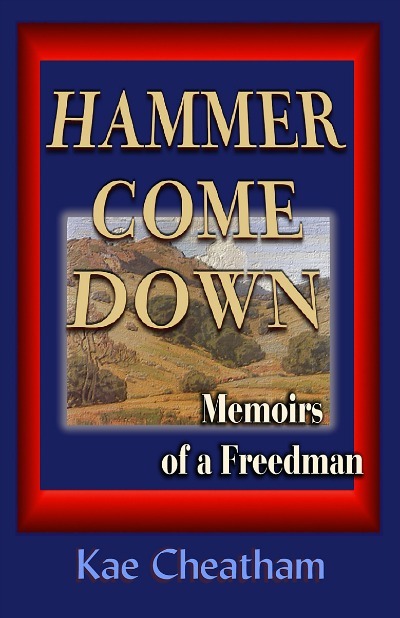 When Elizabeth's maternal grandfather disowns her, she leaves Oberlin College and heads West. She feels certain that when she finds her father, her life will stop its rough tumble. But her trip produces a variety of hardships, beginning when she runs out of money in Ellsworth, Kansas, which results in her maiming the son of dangerous outlaw leader Gabe Tillison. She must rely on all her personal resources as she escapes Tillison's wrath and travels the Santa Fe Trail toward New Mexico. For a young woman in 1870, that's hard enough, but for someone of mixed American Indian, African American, and Anglo American heritage, it's a challenge that few could manage. "Feeling that Old West urge to ride off into the sunset? Here's a perfect book to take with you on vacation.... Skillful application of local color and dialect makes this novel, is a pleasure to read. 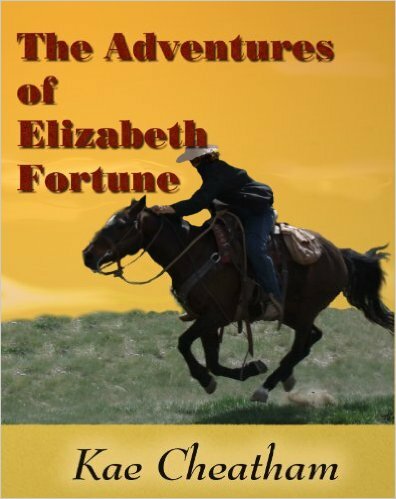 Sure to appeal to Western fans in general, The Adventures of Elizabeth Fortune has extra interest for anyone into ethnic fiction. Recommended." "...This intriguing adventure explodes with action and suspense." The people of the planet New Esrii, refugees from Earth, live in a time of uncertainties. The star Lambda2, from a neighboring binary system, is on a tangential orbit that will closely pass their solar system. Preparations to withstand the predicted hardships have been underway for several years. But now comes a new problem. A fleet of ships is approaching from another planet in their system. The covert Hurist Coalition, watchdog of New Esrii culture, is certain these approaching ships will attack them. The reason for their alarm is secreted in the culture's history, when dissidents were shunted aside so advancements could be made. The combined events have this vitalistic society headed for civil war. Four people from New Esrii are in prime positions to aid their culture. Sinoa and Nathan are drawn to each other by uncanny means, and each has the ability to shed light on the various inaccuracies in their culture's history. Zaya, Sinoa's mother, is part of the Hurist Coalition and has concerns for what is developing; her actions become crucial as civil war looms. Gerren, space fleet commander, will sacrifice everything to get New Esrii citizens to understand what's going on. Each wants to avert the civil war by bringing the truth to New Esrii. Can they do it? And, since Lambda2 threatens to wipe New Esrii off the star map, will their actions be for naught?